Coral Springs’ Max Lazar made the start and earned the win on Wednesday. One run is hard enough to come by against Max Lazar. 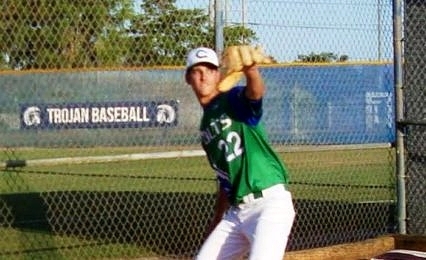 Spotting the Coral Springs ace four runs before he takes the mound can seem impossible. Matt LeConte’s three-run homer in the top of the first capped a four-run inning for Coral Springs in its 9-1 road win over Taravella in a 9A-11 semifinal on Wednesday. Lazar slammed the door shut this time around for the third-seeded Colts (18-6), which take on top-seeded Douglas in the final at 4 P.M. Thursday at Douglas. 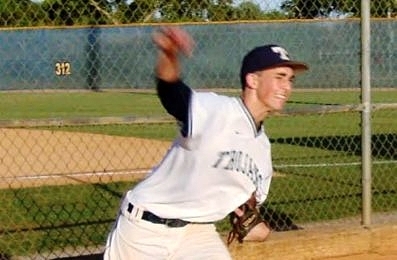 Coral Springs’ ace pitched a complete game, allowing an earned run on four hits, striking out nine and walking none. In the fifth and sixth innings, Lazar struck out the side in order. What made the Colts first inning even more improbable was that it came against Jack Sinclair. Nate Housen, Sinclair’s backstop, was surprised his ace struggled from the start. John Lombardi’s RBI single in the first gave the Colts a 1-0 lead. Lazar’s backstop drove in three and scored three. Wednesday night marked the third time the Colts have seen Sinclair this season. The previous two meetings resulted in wins for the Trojans (17-9). Lazar said Coral Springs’ game plan was to come out swinging because his ball club wasn’t as aggressive in the two losses. Housen didn’t miss his pitch in the fourth. His RBI single plated Sinclair with the lone Trojans run. Instead, it was Lazar that was sharp.